Offshore investing is something that is often demonized by the mainstream media. It is associated with suspicious dealings, money laundering, and tax evasion. While it is true that certain people exploit loopholes in offshore investing norms to commit financial crimes, not all offshore investing is bad. In fact, there are some very good benefits to be enjoyed by investing offshore. Besides, the secrecy around offshore investing is not at the level that it once was. Tax authorities around the world share a lot more information than they used to, and the level of transparency has increased over time. One needs to learn about offshore investing, what it really is, and how it can be used legally to grow one’s wealth. Account – What is it? In order to invest in global markets and in global securities from an offshore jurisdiction, an investor needs to open an offshore investment account. This account is a brokerage or trading account that is opened with an offshore bank. Normally, a broker or an investment manager handles the offshore investment account on behalf of the investor. The location and jurisdiction of this bank are at an “offshore” or foreign location that is often far away from the investor’s home country. There is special emphasis on the offshore location because that is the major reason for opening an offshore investment account. The location is a tax haven where capital gains earned on any investments made are tax-free. Hence, by operating an offshore investment account, the investor saves substantial amounts of money that he/she would otherwise pay as capital gains tax if he/she were to invest in the home country. You would normally open an offshore investment account in the name of an investment company that you create. Such an arrangement is necessary in order to delink revenues generated via offshore investing from the individual investor. From a legal and tax point of view, such a structure is normally considered to be favorable. Offshore accounts can come in various forms. An offshore trading account with an offshore bank, an investment company, an offshore insurance company, or a brokerage firm can be classified as an offshore investment account. If the offshore investment account is held as an offshore brokerage account, then it can be a margin account or a cash account. Even retirement accounts and custodial accounts can be operated as investment accounts. Opening an offshore investment account has many benefits. Firstly, you get to invest in securities of any global market that you desire. Some economies are growing at a much faster pace than economies of the US or the European countries. Why wouldn’t an investor want to participate in the structural growth of the emerging world? Earning 8%-12% is a lot more attractive than earning 3% or 4%. With global markets, you can invest 24 hours a day. You can literally earn returns while you are asleep. Secondly, you can diversify your portfolio by investing in assets outside of your home country. If something goes wrong within the economy of your home country, if there are political issues or trade wars, or if you feel that you could be the target of a government-driven confiscation of assets, then in all such instances, it is better to have a certain portion of your wealth insulated from the volatility. 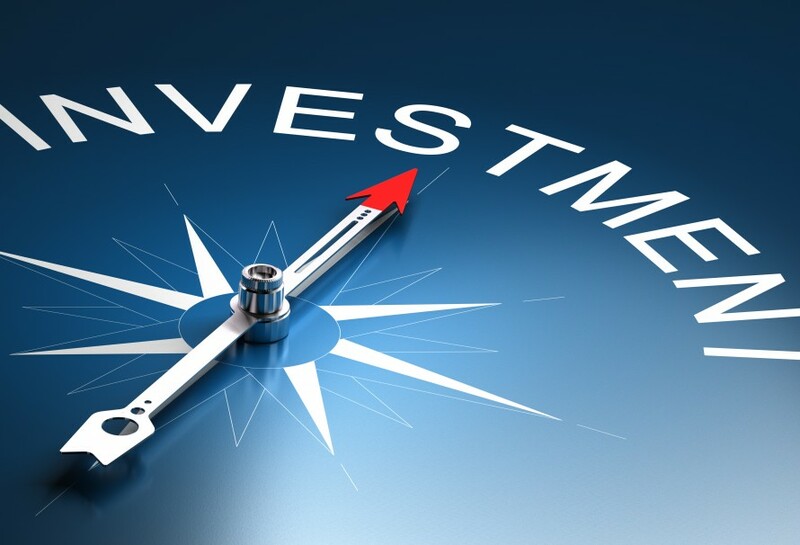 Thirdly, you can save substantially on taxes by investing through an offshore account. Tax haven countries like Singapore, Panama, and Switzerland do not have capital gains tax. The laws are structured in such a way that besides citizens of the tax haven countries, foreign nationals also enjoy this exemption from capital gains tax. Holding citizenship or a residency is not necessary to avail the tax benefit. Fourthly, offshore investing will often mean opening the investment account in a foreign currency. If you anticipate your domestic currency to fall or if you want to protect your wealth from foreign exchange fluctuations, then offshore investing is a great way to hedge your position. Lastly, many of the offshore tax havens have strict rules regarding client confidentiality. It means that the offshore country will not reveal the details of the account holders, except in the case of suspected money laundering, drug trafficking, or such serious crimes. The secrecy is not necessarily bad or illegal. It actually is very important even in certain legal transactions. For example, if a famous investor is about to take a large position in a public company, then that investor would want to keep the buy confidential so that smaller investors do not simply copy and drive up the price. The first downside is the tightening of tax laws throughout the world. Governments are waking up to losing tax revenue to offshore investing. As mentioned in this article, they are making laws tighter and even going after offshore institutions that host or facilitate these accounts. You may not enjoy the kind of tax savings that you might have about 10 years ago. The second downside is the cost to open and run an offshore investment account. There is a minimum balance requirement which runs into hundreds of thouands of dollars if not millions. Secondly, the legal fees, account fees, and other expenses can be steep. You will spend money to open and maintain an investment company as well. Certain tax havens might require you to purchase property in the country as well. To open an offshore investment account, you will have to first select the financial institution or bank with which you will open and run the account. Next, you will have to fill out their application form which you can probably find online. Once you have filled out the application, you will be asked to submit certain documents that establish your identity and financial information. Notarized copies of documents like passport, driver’s license, bank statements, utility bills, etc. will be required. Some offshore institutions may ask you to get an “apostilles stamp” on your documents. The apostilles stamp is an internationally known certification mark. Once all the documentation is done, you will then be ready to send money to the account. You will have to choose the currency that you want your offshore investment account in. Next, you will send funds to your newly opened account by wire transfer. If you are going to open the account in the name of an offshore shell company, then you will have to open the company first. If you want to withdraw funds from your offshore investment account, then you may be able to do so using wire transfer or by issuing bank drafts, if the offshore investment account is opened with an offshore bank. You might even be given a debit card for your investment account and you can use that card to withdraw money. Cost – Investment accounts have certain fees that institutions charge for the service that they provide. These fees are normally a percentage of the total assets in the offshore investment account or on a per trade basis. So read about all the fees that the institution charges before finalizing the choice of account. Interest – Investment accounts do earn interest on the deposits that stay in the account. These interest rates are generally more competitive than what traditional banks tend to offer. Customer service – Check the support and customer service level at all potential institutions. Having 24/7 support is desired. Call the toll-free number and talk to the agents. That way you get a feel of how friendly and professional the company is. Research tools – While this is not a deal breaker, having good research tools and investment information is important to be able to make the best investment decisions. The richer and more in-depth the content, the better the institution. Some offshore locations are lightly regulated and hence might be perceived as being riskier than domestic investing. Concepts like sovereign guarantees, right to compensation, and the right to appeal to regulatory bodies may not be as strong as what you may be used to in your home country. Hence, it is better to consult an advisor who is familiar with all aspects of offshore investing. According to Investopedia, more than half of the world’s wealth is held in offshore locations. High net-worth individuals and well-known corporations of the world have investments in offshore accounts. Hence, if done legally and correctly, investment accounts can prove to be a smart move. You do not need to travel to the offshore country where you are planning to open an offshore investment account. You can open the account with the help of the internet from your home country itself. There are offshore banks that you can look up online who will help you open the account. An offshore investment account opened with an offshore bank may also come with additional facilities such as checking account, online banking options, bill payment option, and the ability to borrow on margin.